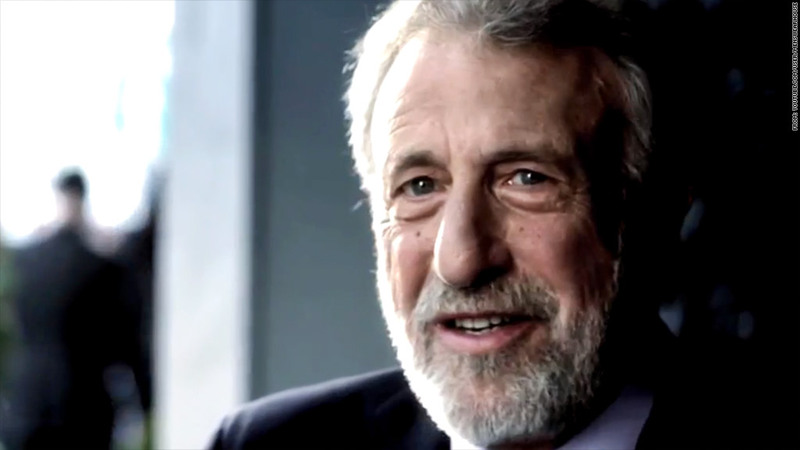 Former Men's Wearhouse Executive Chairman George Zimmer appearing in an ad for the company. Men's Wearhouse founder George Zimmer got only $10,000 a year to be the face and voice of his former company's ads. But now that he's been fired, he's going to get $1 million for ads over the next four years. The company's proxy statement says Men's Wearhouse retains the right to use Zimmer in ads for at least the next four years. And it is obligated to pay him $250,000 a year for those rights, whether or not they use him in the spots. Company spokesmen were not available for comment Thursday. Paul Kranhold, a spokesman for Zimmer, said he has not been told of the company's marketing plans, but acknowledged the agreement that could let him continue to appear in the ads. "They have hundreds of hours of footage of him," he said. The company spent $43.9 million on advertising in 2012, according to Kantar Media, with $38.2 million spent on television ads that featured Zimmer. Hundreds of Men's Wearhouse customers have posted protests over Zimmer's firing on the Men's Wearhouse Facebook page. In a filing made in the past, the company had said it would be hurt if it were not able to use Zimmer in its ads. "George Zimmer has been very important to the success of the company and is the primary advertising spokesman," according to the most recent 10K statement. "Although we believe we have a strong management team with relevant industry expertise, the extended loss of the services of Mr. Zimmer...[could] materially harm our business." Zimmer's $10,000 compensation for the ads was only a fraction of his overall pay. He got total compensation of just under $2 million in each of the past three fiscal years in his role as executive chairman, nearly as much as the $2.1 million received in the most recent year by CEO Douglas Ewert. Zimmer, with his distinctive gravelly voice, appears at the end of every Men's Wearhouse ad, promising customers that they will like the way they look wearing the store's clothes, "I guarantee it." Men's Wearhouse fired Zimmer last week. This week, it came out with a statement saying Zimmer had become power hungry. Zimmer fired back that management was "more concerned with protecting their entrenched views and positions" than with the company's best interests. Zimmer also may have $2.7 million in severance payments coming to him, according to the proxy filing. The filing says that's the amount due if he is terminated by the company for any reason other than cause. But elsewhere in the proxy it says he would be due that money in the case of "change in control," most commonly when a company is bought. A company spokesman says without that change, Zimmer is not due any severance. Kranhold said the company is not claiming Zimmer was terminated for cause, which is spelled out in the proxy as some willful misconduct such as embezzlement, fraud or other criminal activity. But he said he had no information on possible severance payments.